Welcome to the Law Office of Dennis Balske. Our office prides itself on personal attention, by limiting the number of cases that we accept, and by paying attention to details -- the little things that make a difference in the outcome of close cases. 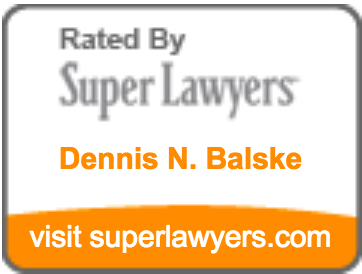 As chairperson of the Oregon State Bar Committee that drafted the Performance Standards for Post-Conviction Representation that were adopted by the bar, as the former Legal Director of the nationally-renowned Southern Poverty Law Center, and as a former Federal Public Defender who litigated hundreds of habeas corpus cases and argued in the United States Supreme Court, Dennis Balske brings thirty-seven years of criminal defense experience to his specialized practice in post-conviction representation, both in the state and federal courts. Is there a time limit for a post-conviction action? Can I appeal and seek post-conviction relief at the same time? Can I skip my appeal and post-conviction action and bring a federal habeas corpus action?